Beautifully updated end-unit townhome located on a quiet cul-de-sac backing up to a creek & wooded green space. Incredibly convenient location is minutes to Stonefield & 29N shops / restaurants. The charming main level includes the kitchen (w/ stainless appliances, butcher block counters & white subway tile), formal dining, 1/2 bath, living room w/ wood burning fireplace & screened porch overlooking the tranquil setting. 3 bedrooms upstairs include the master w/ attached tile bath & furniture -style vanity. A second bedroom adjoins the master, ideal for nursery or office. The walk-out terrace level features a family room w/ wood burning fireplace, wet bar, bonus room & glass doors out to patio & spacious, fully fenced backyard. Directions: 29 North from town to a left on Hydraulic. Right onto Townwood. (Approximately 5th traffic light) Left on Cool Spring. Left onto Glade Lane. Home at end on right. 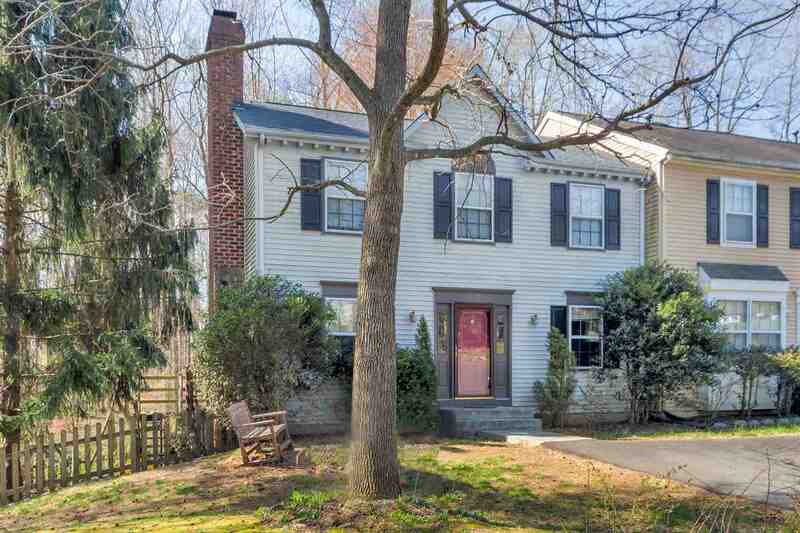 Please, send me more information on this property: MLS# 589019 – $249,000 – 343 Glade Ln, Charlottesville, VA 22901.